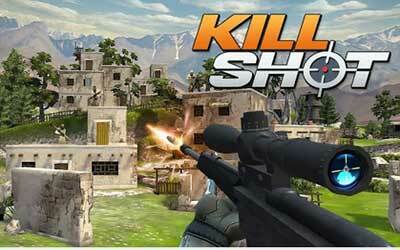 Kill Shot 2.0.1 APK has been released and this is the newer version. If you want to play it on your Android you can download and transfer to your device. So, you can install it easily. Those who would like to play the game using a sniper shooter, it may be suitable for you. In this game you have completed more than 160 missions like shoot shoot the boss before he fled, headshot enemies, etc.. But unfortunately this game is more suited for casual players because you realistic elements such as distance and wind are not taken into account in the game. NEW * Alien Invasion Global Ops! No problems with new update as of yet. Nice job Hothead!